OnePlus phones haven’t traditionally been known for providing great camera performance. The company has been steadily improving in this regard, however, and it’s generally accepted that the OnePlus 6 is OnePlus’ best effort yet. The phone’s camera received a score of 96 from DxOMark based on May 2018 launch software—the company’s best-ever DxOMark score yet. 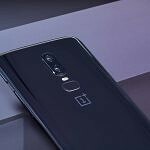 In the past, OnePlus has released updates to their smartphones that significantly change image processing, as the company states that it believes in “constantly refining the smartphone experience.” Now, OnePlus states that it will roll out a significant camera update for the OnePlus 6, based on community feedback, in OxygenOS 5.1.9. The company also notes that Google Lens functionality will be available on the OnePlus 6’s camera app as a part of the OTA. With respect to image quality, DxOMark had noted that the OnePlus 6 has a “fast and accurate” autofocus, “bright and vivid” colors in all conditions, and good detail preservation capabilities. OxygenOS 5.1.9 builds upon this experience and is said to further improve clarity, dynamic range, edge detection in portrait mode as well as overall focusing speed and accuracy. The integrated Google Lens mode uses the phone camera to surface information about the objects through machine learning to provide more details and also provide relevant search tags. Users can use the camera to scan QR codes and use the image recognition tool to get more information about objects such as books, buildings, etc, by tapping on it. (It should be noted that Google Lens is already available in the Android P beta for the OnePlus 6. However, this is the first stable update where the functionality is included.) The OnePlus 5 and the OnePlus 5T will also receive the Google Lens update via OTA soon (the latest OxygenOS Open Beta for the phones includes the functionality as well). XDA Senior Contributor Daniel Marchena, who reviewed the Red and Silk White colors of the OnePlus 6, will be testing the camera quality after this most recent update.